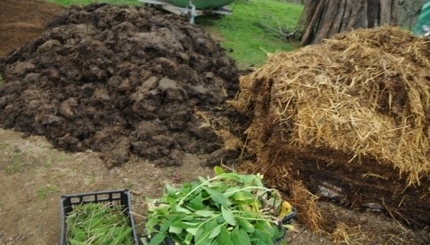 Turn your waste products into rich compost. You’ll save money by not having to buy fertilizers or transport waste off site. Your enhanced soil productivity will grow better food and medicine. 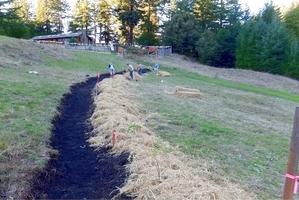 Timely road maintenance, using cover crops and designing bioswales all help reduce erosion. Reduce or eliminate fertilizers through soil building, construct bioswales and filtering buffers. Slow it, spread it, sink it. Keep generators, pumps and fuels contained. Thinning small trees in the forest on your land reduces fire risk, makes more water available for the trees left standing, and can increase stream flow and water supply. Improving forest health also reduces pest and mold populations.